Abu Dhabi, which means "Land of the Gazelle" in Arabic, is about a two hour drive from Dubai, across wind-swept desert plains. From its humble roots as a refuge and fort for a small tribe led to the island by a gazelle, the city is now an architectural marvel, with tradition-defying shapes and soaring heights. Sandy beaches line the city, the capital of the Emirates. 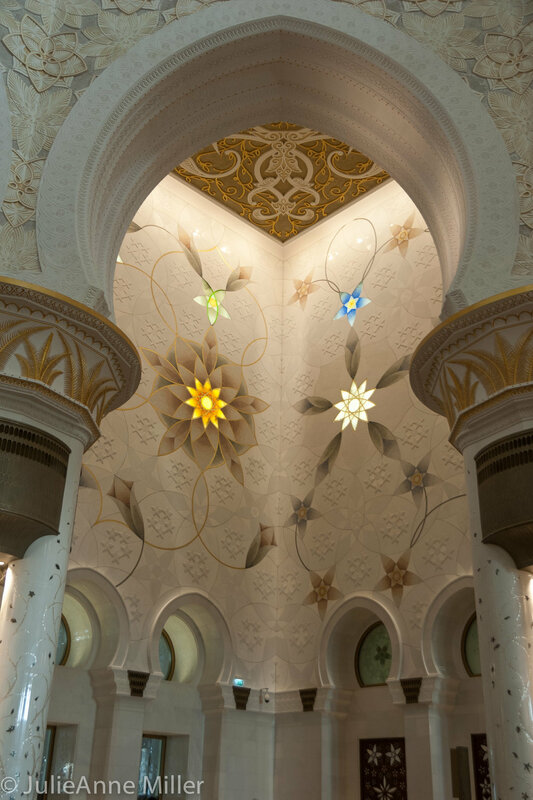 The main attraction in Abu Dhabi is the Sheikh Zayed Grand Mosque. 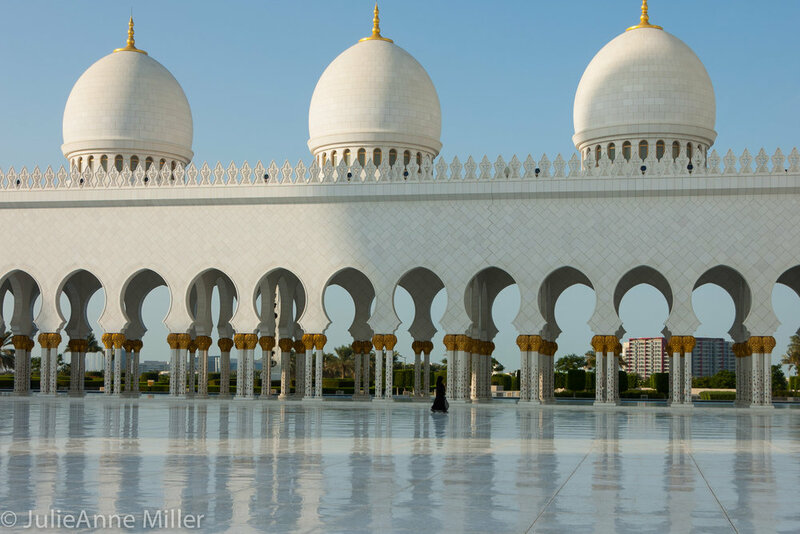 Built in 2007, it is the third largest mosque in the world, and accommodates 40,000 Muslim worshippers. It is named after the founder and first leader of the United Arab Emirates, the late Sheikh Zayed bin Sultan Al Nahyan. This is the first Muslim mosque I have ever visited. In a building with in-laid mother of pearl etchings, Swarovski crystal chandeliers, intricate stain glass, and the purest marble, I felt awe-struck by the opulence and humbled by the welcoming openness to all tourists. I admire the Muslim call to prayer five times a day and wonder if the world would change if we allbowed to the earth and gave thanks for our blessings several times a day, every day.